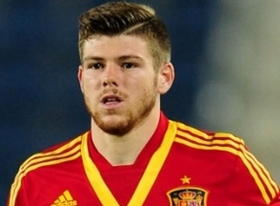 Liverpool defender Alberto Moreno is regarded as a top target for Real Madrid in the winter transfer window. Real boss Rafael Benitez has reportedly told the club's officials to sign a new left-back with Brazilian star Marcelo finding it difficult to stay fit throughout the season. According to Spanish source Marca, Real have earmarked Moreno as the ideal deputy for Marcelo, who has suffered a series of injuries over the past year. It is added that Moreno's experience in La Liga has ignited interest from the former European champions. Moreno has made 19 appearances for Jurgen Klopp's side this season.